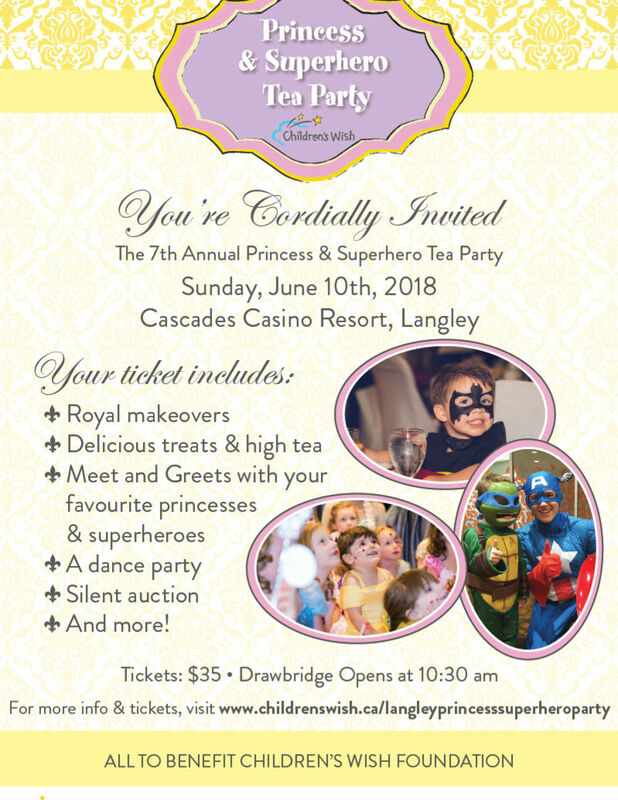 You're cordially invited to the 7th Annual Princess & Superhero Tea Party on Sunday, June 10th, 2018 and Cascades Casino Resort in Langley, BC. Tickets are $35 or $120 for a family of four. Children under 2 are free! This Children's Wish Foundation event will directly fund wish granting in B.C. and the Yukon for children diagnosed with a life-threatening illness.